Got this as a boomerang release from GenderQ. She described it as 'Lesbian Chicklit'! As a gay man, it's great to read this book about gay women. VERY recognisable storyline, and a book I can just NOT put down. Very entertaining writing, lovable character, overall, great read. Got this in my house for 48 hours and finished a quarter already. That's a lot, for my standards! Finished it in record time. When a book moves me so much, that tear are in my eyes (they actually rolled down my cheeks, the last 30 pages), it's a good one. It's not, as GQ said, Lesbian Chicklit. It's a great coming out story, followed though to adulthood. 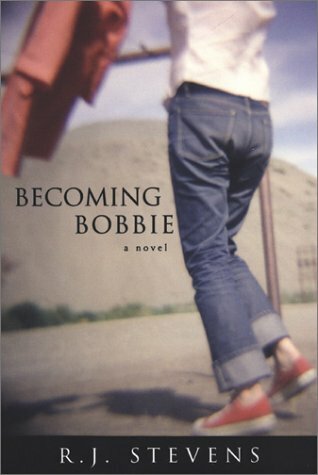 The story takes you through about 25 years of the life of Bobbie, with all the ups and downs in it. The way the author links time with the song that were popular then is a wonderful way to make the reader get a feel for the setting. Overall a compelling read, a story that I kept on wanting to get back to, if only for a few minutes.... which then almost always stretched too long... Slept less, this week, but for a book that lingers in the mind, that's ok. It's by the door, next time I'm in town, I'll return it to you, GQ! Thanks again for boomerang-releasing this one to me! Thanks GQ; it's on top of my TBR-pile, so when I'm done reading "the Da Vinci Code" (which will be very soon), I'm going to read it!! Just like Erbie, I'm very touched by the book and also my tears were running. I've read a few good books lately, but none of those touched me like this one did. I never thought gayman and lesbians had so much in common. Yes; a great book which I will remember and tell people about for long time!! Thanks for sharing the book with me GenderQ! And thank you Erbie for telling me about it! Released on Sunday, June 13, 2004 at another bookcrosser in a controlled release, n/a Controlled Releases. Looking forward to this one. There will be less recognition for me as a non-gay, but for a well written novel that shouldn't be an obstacle. Thanks for sharing, GenderQ! Wow, I started reading yesterday and finished this afternoon (and mind you, today is a Monday, so I really had to work...), but I had to read on. Great story! It hurt to read about the awful things people do to eachother, but it was great to see how Bobbie managed to cope with it all. The musical references were lost on me (I know most of the titles of the songs, but not the songs themselves) and I wasn't too wild about the style of the author, but there were tears in my eyes as well and if a book moves you that much, it definitely is worth reading! Thanks, E-mile for drawing my attention to it and Gender-Q, thanks for sharing. I found this book today when I came home. I've never heard from the author or the book, but after reading the enthusiastic reactions of the previous readers I decided that I wanted to read this book. I liked the way the book was written, in a very casual style. And allthough in the beginning of the book we learned that she wrote this book because of Stella, we have to wait till the end of the book to find out who this Stella is. But no tears for me at the end of the book. It was sad, but not everything was sad. Tomorrow a colleague will bring this book to Suzy26. Just found this novel in my mailbox. Thanks to Muizz (and her colleague!) for sending it to me. I will start on it tomorrow. Finished it already. I really loved this book! It is an easy read and quite a moving story. Once you start reading, it is impossible to tear yourself away. I really felt for Bobbie and, much to my surprise, I found myself moved to tears just like some people before me! As a great Springsteen fan, I especially liked all these references to Bruce's music! Sent this book to nrrdgrrl yesterday. came home from stressful travels and found bobbie waiting for me. thanks suzy26! i've been eyeing this book since it first was commented on in the forum, so i'm much looking forward to reading it. thanks genderq for sharing it. i'll try and read it as soon as i can. what a book. finished it yesterday after a few long sittings. lesbian chicklit indeed. too sugary, a real tearjerker, intentional emotional turmoil in readers' head. but if it is written so skillfully that despite all this, it does make my eyes watery, who am i to comment? many of bobbie's adventures will seem very recognizable to anyone not being a wasp in a conservative region. then again, it only enhances the chances of being touched by the story. well done and i'd like to read more of this author. i kept thinking i'd be in utrecht one of these days. but now it's taking too long. bobbie travels by mail. Nicely wrapped, safely arrived in Utrecht. Going to read this one as soon as possible. So there’s my story. If you expected a big bang at the end, I guess I’m going to disappoint you. If you’re reading this, you might think I’ve had some rough times. Maybe I have, but I don’t look at it that way. I don’t think it’s been any worse than anyone else had, and better than a lot. And I think I’ve been blessed. That’s it, the book is about Bobbie’s life. It’s very descriptive. Growing up, learning lessons about life and living, getting to terms with. For me the book was like reading an interview in a magazine about somebody’s life. Interesting but as a novel too sentimental and superficial (the way it's written, not Bobbies life as such). Thanks GenderQ for sharing this book! Surprise, surprise, forgot all about you, book. In an attempt to release myself (and I'm not even registered) of guilt and stress I'm sending this no doubt wonderful book to the next in line. Without reading it. Sorry, book. I do not have anything new to add to these earlier journals. I as a heterosexual found it very interesting to read about the life of a gay woman, trying to survive against bigotry and narrow-mindedness. Very sad, the attitude of the mother especially. And I very much enjoyed reading about someone who showed this much courage to become a whole and happy person. It goes off to Maupi. Released on Friday, November 26, 2004 at about 12:00:00 PM BX time (GMT-06:00) Central Time (US & Canada) at Controlled Release in Controlled Release, Controlled Release Controlled Releases. Bobbie goes to Maupi this evening. Got it! Thanks Biba and all readers preceding you. No rush, I guess, last in line. Not that I do not want to read it, but rings, priority, that kind of stuff. Finally read this one, read it in two goes, have to agree with some of nrrdgrrl's remarks: sugary, lesbian chicklit, tearjerker, intentional emotional pressure. Have to disagree about the skillfulness, sorry, what awful writing. Style, ouch, and some illogicalities in the storyline which were really annoying. It's partly my problem, I cannot forget about the bad writing, even if the story is good in part. I'm glad I read it though, heard a lot about it and I do understand why the story touches people. Still, nag nag, why do you think Goddess created editors? Well, GenderQ, Bobby can finally travel home! After such a long time.